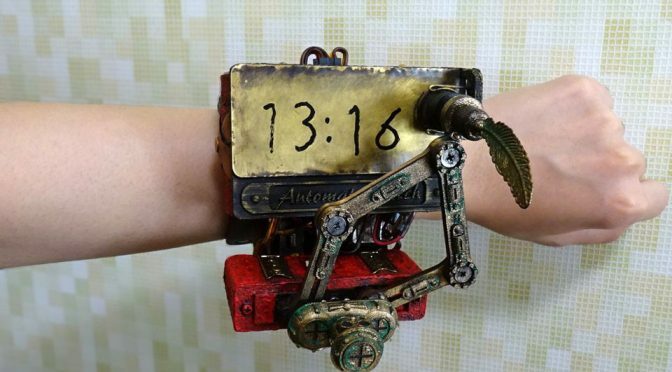 A couple of years ago, we stumbled upon some super cool DIY steampunk wrist watches on Tumblr. Back then, we tried to dig around for more information, particularly on who was behind it, but to no avail (you know how attribution is with Tumblr). But today, we finally found who was behind these crazy awesome creations and along with it, more stuff from, complete with decent images. Yes. Finally! 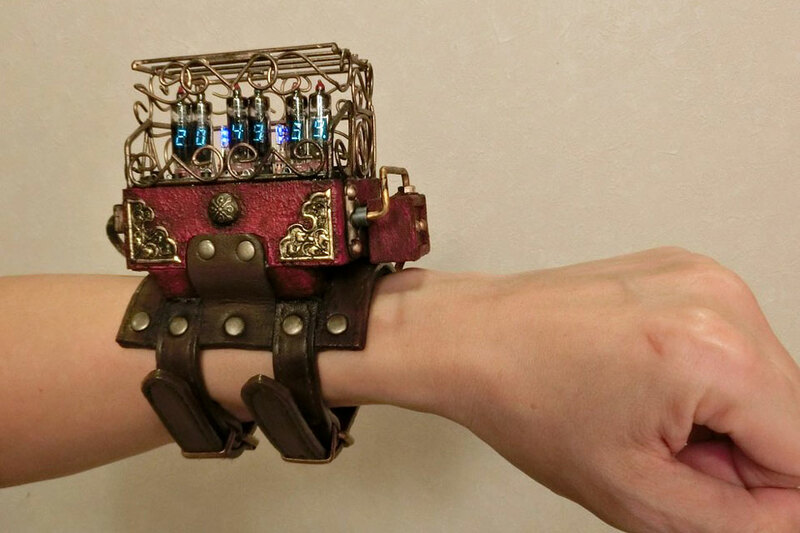 Anyways, these fabulous steampunk wrist watches was the handiwork of a very talented Japanese lady who go by the Twitter/YouTube handle, FRISK_P (フリスクP). Little is known about this rather elusive steampunk enthusiast, but we read that her mission is “to make wristwatches that nobody else makes.” Well, I guess that’s a mission accomplished. Just look at those watches. Aren’t they fabulously wonderful? Granted, they are not the most practical time-telling contraptions (pixie tubes ain’t gonna be compact, will they? ), but who really cares? 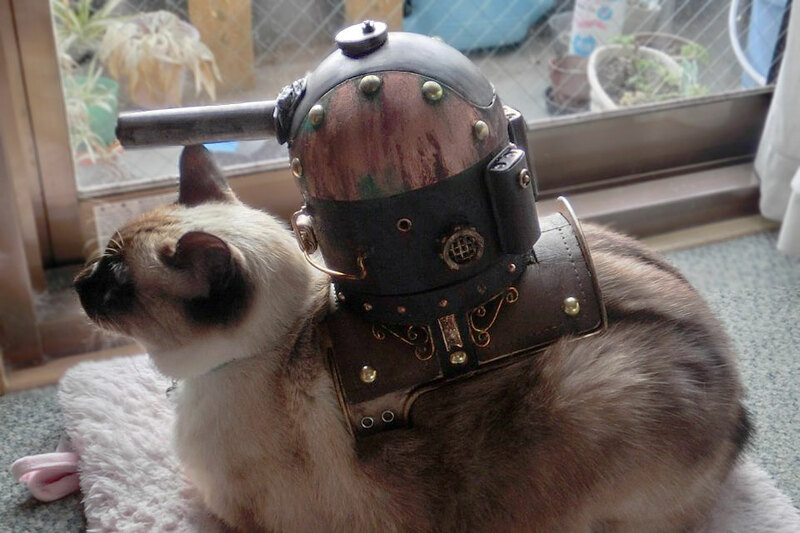 It’s steampunk, baby! 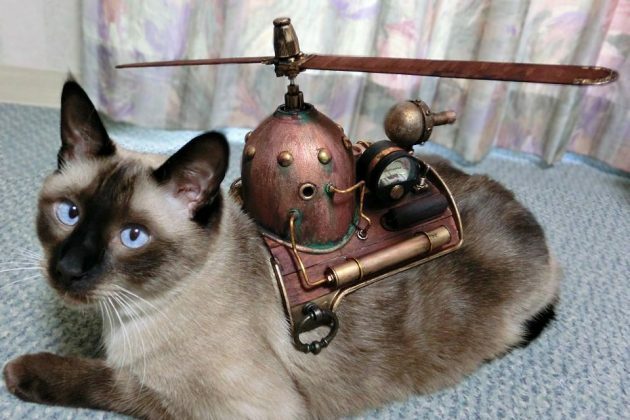 And steampunk is never about practicality. The only thing FRISK_P’s masterpieces lack is the presence of steam. 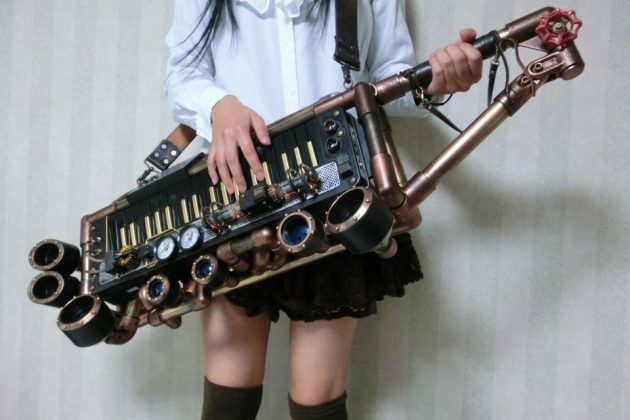 Otherwise, it is as steampunk as it can ever gonna get. 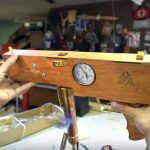 As it turns out, FRISK P’s forte isn’t just wrist watches. Her forte is all-thing steampunk, whipping up a range of delightful steampunk objects like steampunk helicopter rotor, steampunk vintage gun with what looks like a static globe for the muzzle and even a gun turret that’s designed to be worn by her kitty. I guess that kind of makes her little kitty a steam puss? Oh, wait. That sounds kind of wrong. Never mind. Skip ahead more bonus images plus more awesome videos. Previous PostIn Japan, Moving Shadow Of Man Aims To Protect Women Living AloneNext PostAlien Facehugger Snorkel Mask Because, Aliens Love The Sea?